KAMPALA – The Uganda Cranes head coach Sebastien Desabre released the 25 man final Squad to enter residential camp on Monday at Kabira Country Club in Bukoto ahead of the Total AFCON Qualifier with Cape Verde on Saturday. The head coach left out last year’s league top scorer Daniel Serunkuma who also has four goals on his name this season in the Uganda Premier League. The French man also dropped Viane Sekajugo who is one of the nominated MVP in the Airtel FUFA Awards. Other players left out include Villa Captain Ambrose Kirya, KCCA’s Filbert Obenchan , Vipers’ Left back-Yayo Lutimba and Onduparka’s goalkeeper-Nicholas Sebwato. The Cranes have also shifted there training base from Lugogo to Namboole as the crunch tie edges closer. In a practice match played on Sunday, the Uganda Cranes defeated the U23 2-0 through the goals of Emmanuel Okwi and Viane Sekajugo. Meanwhile the U23(kobs) squad has been named to face South Sudan in the AFCON U23 Qualifiers on the 14th of November and the second leg on the 20th same month. The Uganda Cranes resume training on Monday while the Kobs are already in camp at Njeru. 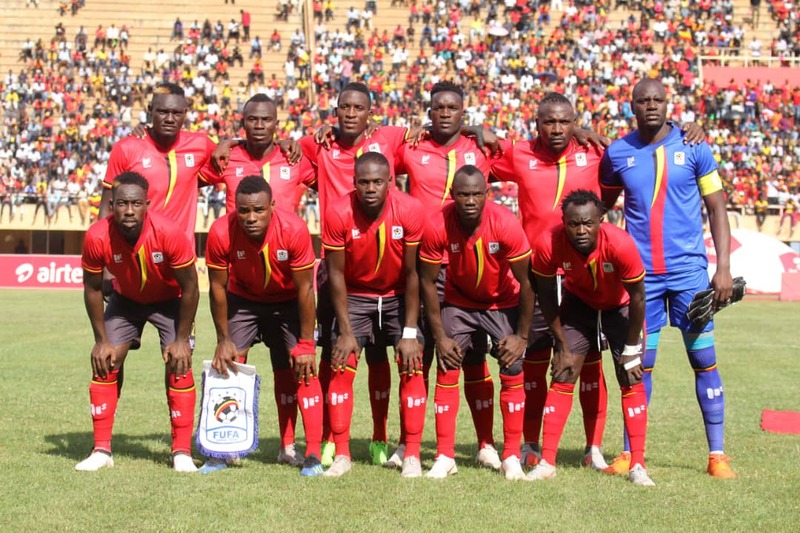 Uganda Cranes Players named to face CapeVerde. Denis Onyango (Mamelodi Sundowns), Jamal Salim (El Meriekh), Charles Lukwago (KCCA FC) and Nicholas Sebwato (Onduparaka FC), Isaac Isinde (Kirinya Jinja SS), Murushid Juuko (Simba SC), Timothy Awanyi (KCCA FC), Denis Iguma (Kazma FC), Nicholas Wadada (Azam FC), Godfrey Walusimbi (Kaizer Chiefs) FC, Isaac Muleme (Haras El Hodood), Joseph Ochaya (TP Mazembe), Hassan Wasswa (El Geish), Khalid Aucho(Church Hill Brothers, India), Ibrahim Saddam Juma (KCCA FC), Tadeo Lwanga (Vipers SC), Allan Kateregga (Cape Town City), Faruku Miya (Gorica ), Moses Waisswa (Vipers Sc), Milton Karisa (MC Oujda), Allan Kyambadde (KCCA FC), Emma Okwi (Simba SC), Edrisa Lubega (SV Ried), Derrick Nsibambi (Smouha) and Patrick Kaddu (KCCA FC). Tom Ikara (KCCA FC), Saidi Keni (Proline FC), Mathias Muwanga (Express FC)-(Goalkeepers), Musitafa Mujuzi (Proline Fc), Hassan Musana (KCCA FC), Mustafa Kizza (KCCA FC), Rashid Toha (Onduparaka FC), Ronald Kigongo (URA FC), Paul Patrick Mbowa (URA FC), Geofrey Wasswa(Vipers SC), Lawrence Bukenya (KCCA FC), Bashir Asiku (Vipers SC), Abel Michael Eturude (Onduparaka FC), Julius Poloto (KCCAFC), Shafik Kuchi Kagimu (URA FC), Allan Okello (KCCA FC), David Owori (S C Villa), Joel Madondo ( K-Jinja SS), Steven Desi Mukwala (Vipers SC), Joseph Junior Ssemujju (Sc Villa ), Ezekiel Duncan Sseninde (Vipers SC), Trevor Semakula (Weerebie City Stars FC, Australia) and Yaya Mahad Kakooza (Tooro United FC).